Technology-enabled group buying is helping millions of consumers to access great discounts from manufacturers by forming teams agreeing to buy certain amounts. It’s a model that’s had initial success via apps such as Groupon, LivingSocial and Wowcher. Collective (or group) buying models aren’t just disruptive because they empower consumers to get great deals. They also cut out the traditional distributors in the supply network, helping keep costs really low for consumers by passing bulk buy savings directly to them. Most group buying services unite the consumer with the manufacturer directly, rather than going through the usual retail chain network that delivers products to consumers (and taking a cut). That’s bad news for retailers. Although only a small proportion of consumer spending happens via group buying, those are sales that a struggling retail industry can ill afford to miss out on. Perhaps traditional retailers will be pleased then to hear that the collective buying model we’ve all come to know is now dead. Businesses such as Groupon have always had their detractors but the model now seems to have been comprehensively revealed as fatally flawed. One significant drawback is that few customers seem to convert into longer-term ones paying full price after enjoying the discount. Researchers at Rice University found only 35% of customers coming in via group deals spent more on upgrading or buying additional items and just 20% came back later to make a full-price purchase. This means it works better as a model for getting rid of excess inventory than as a tool to bring in a new loyal audience. Groupon claims that its model really supports small local businesses by offering the chance to significantly boost their sales by accessing a wider audience. It’s not worked for all businesses: one small bakery was swamped with orders that it couldn’t meet cost-effectively after a deal took off on the site. Group buying sites have been accused of cannibalising transactions that would have happened anyway, and even of driving smaller companies out of business thanks to savage discounting at scale. Between around 2010 and 2017 there was a minor bubble of investment activity and a lot of overheating in the collective buying business market. This bubble now seems to have burst, evidenced by the fact Groupon recently acquired its main rival, LivingSocial, for $0. At its peak only a few years back LivingSocial was valued at $6 billion. Critics claim the model was always ludicrous and fundamentally unsustainable – economic recovery means that most businesses aren’t swamped with excess inventory. But the death of group buying may have been prematurely announced. We recently discussed, a new eCommerce app used in China based on collective buying has proven an effective way to engage novice online shoppers from poorer households. Pinduoduo offers huge discounts on household and other products to an audience of mostly 30-something women in small Chinese towns and cities. It’s proven an effective way to engage a group that wasn’t previously catered to through existing eCommerce providers, and the social element seems to work well at driving regular engagement with the app and also scaling members. It seems the group buying concept is far from dead – it’s merely evolved to meet the needs of a new audience. Last year the Wall Street Journal argued that the puncturing of the hype bubble surrounding group buying in the West has actually helped small businesses benefit from this model. With services such as Groupon no longer riding high on a wave of confidence and investor capital, the publication argues that small businesses are able to negotiate better deals and structure them more favourable. This means they may be able to genuinely benefit from group selling, using it to reach a wider audience without such cut-throat discounting. Sites are now much more flexible in how they allow sellers to offer discounts. Perhaps there’s still a place for this model in the West as well. Group buying models are also being applied to very specific sectors, such as the solar panel installation business. 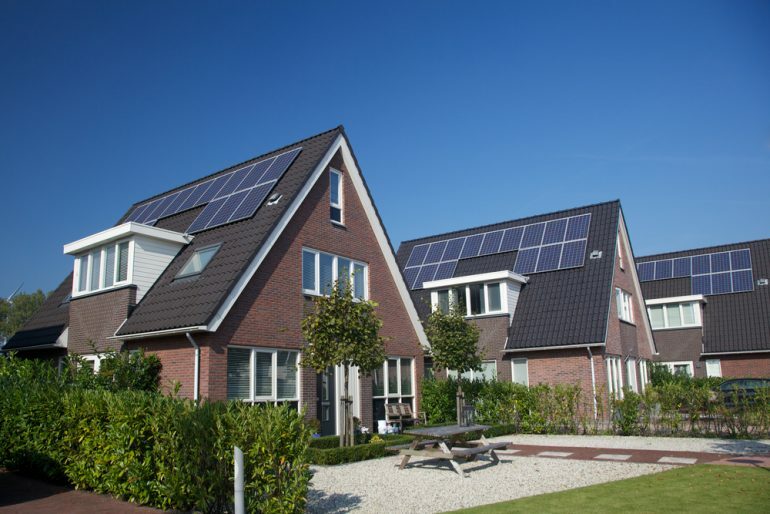 Under this model, groups of neighbours team up to approach solar panel installation companies in local areas with the aim of getting a good deal on their installation. This model’s an interesting one on several levels. Firstly, this type of group buying probably enables installations to occur on houses that wouldn’t otherwise have been able to afford it. Solar panel installation is a significant outlay for most households, although the long-term benefits in terms of bill reduction can eventually make it worthwhile. It’s not generally a model that scales well and group buying is a way to make a high-cost transaction slightly more affordable by scaling it locally. In the UK, the Mayor of London extended a recent scheme where residents and businesses can register their interest in purchasing solar panels, allowing local councils to tender for bulk installations of solar panels at discounted rates. Secondly, this community-based model is a way to pressure consumers to make what’s arguably a positive environmental choice. It’s been shown that the most effective way to encourage positive behaviours, such as separating your recycling or switching generating your own green energy, is to tell people that other people around them are doing the desired action. Having your neighbours encourage you to join a solar buying team is probably the kind of peer pressure that would drive people who were only lukewarm about the idea to adopt solar. Lastly, group buying is a way to support consumers through a high consideration purchase and help simplify the process. Researching solar power and choosing an installation company can be a complex process; group buying brings peers into this process helping conversations take the place of individual research. Although solar installation is an unusual market, it seems group buying may be effective at smoothing the process for this complex and costly transaction. The collective buying model’s also being applied to domestic bills via initiatives such as the Big Switch and Netherland’s United Consumers. Perhaps this is the future of group buying; making it far more niche and using it to solve very specific market problems.